In a nutshell, the GDPR is a huge overhaul of privacy on the web, spelled out in a massive 261-page document. The most pressing part of the regulation covers consent and taking steps to prevent companies from opting users into terms that are hidden within dense legal documents that most people don’t even read before clicking “agree.” For most of us, this means a recent rush on the part of many of the big websites, services, and apps to get their new privacy policies and terms of services in order and out to their customers. Hence the recent barrage of emails. 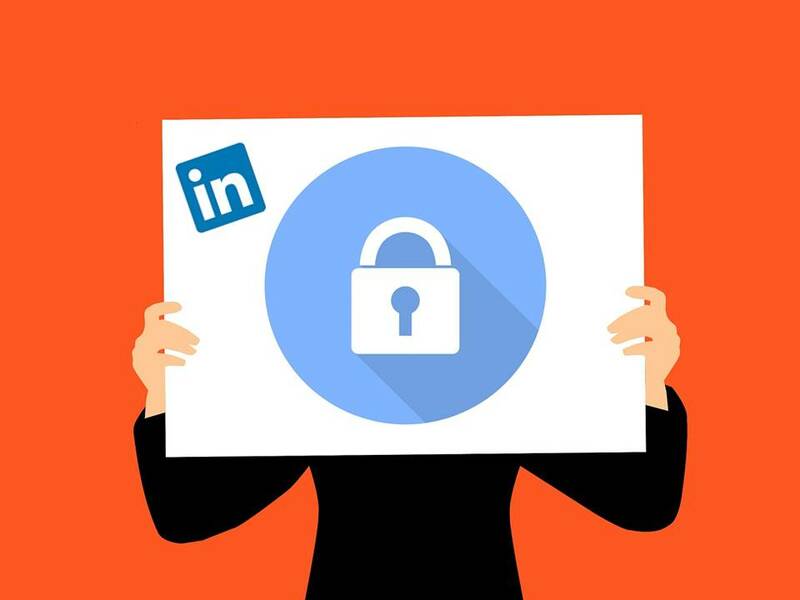 LinkedIn was one of those companies that reached out to their users to address the topic of privacy — but they’ve also made it a point to keep all things related to LinkedIn privacy easy-to-understand and customizable at any time. With that said, LinkedIn changes constantly, so make it a habit to check and update your profile settings at least once a quarter. If it’s been a while since you took a look at yours, use this quick guide to refresh your LinkedIn privacy settings. • On affiliate and approved third-party services like Outlook, Yahoo mail, smart phone mail apps, etc. How much of your public profile people can see during these searches depends on your settings. By default, visitors have access to your entire profile — your picture, summary, current positions, education, website, groups, etc. If you’re comfortable with this kind of transparency, then you’re all set. If you don’t want to share this much information, go to the Edit your public profile section and simply uncheck the profile features that you don’t want to display publicly. (Most LinkedIn experts would recommend you keep at least your photo, contact information, and full name public.) You can find the list of features under Edit Visibility. If you’re active on LinkedIn, there’s a good chance your profile is always in flux with work updates, shared posts, endorsements, and new interests. But are your connections notified each and every time you make a little (or large) tweak to your profile? To customize what actions are shared with your network, go to How others see your LinkedIn activity and adjust the toggle for Sharing profile edits and Notifying connections when you’re in the news. It’s here that you can also choose what others see when you’ve viewed their profile and who can see when you’re on LinkedIn. This is an important one to some people, especially given the recent focus on social media data sharing. LinkedIn gives you a very clear list of what data you’ve provided under Manage your data and activity. You can also download an archive of your account data, posts, connections, etc. at any time, and manage your shared salary and demographic information. Keep in mind that LinkedIn does use member data for social, economic, and workplace research. To disallow your data from being accessed for this research, you can easily turn off the default setting in this section. LinkedIn allows you to be as engaging — or as private, as you like — so make full use of these settings to customize the platform to fit your preferences. Have questions about LinkedIn privacy settings? Ask in the comments below and we’ll answer here. Or if you want someone to go through your privacy settings one-on-one with you, schedule a call with one of our SocialVelocity coaches. Email judy@proresource.com to schedule your 30-minute session.